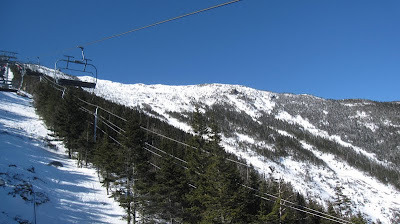 Check out this week's pictorial trip report of my recent perfect Adirondack day (PAD) and other weekly stories at lakeplacid.com. Here's a quick winter storm update for my fellow snow and ski obsessed friends - it is snowing like crazy here at Adirondack Lifestyle/JSR Associates HQ in Lake Placid! 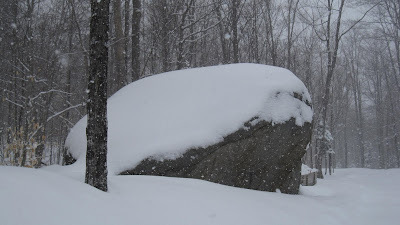 We have already received 8 inches of fresh powder, and as you can see in today's photo, it is still coming down hard. If you were wondering what to do with yourself this weekend, may I suggest you slide on snow in the Adirondacks!